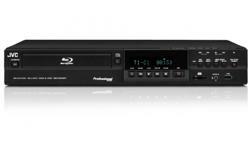 De SR-HD2700 Blu-ray Disc en HDD combo-deck biedt directe opname op DVD en Blu-ray, van zowel HD-SDI / SD-SDI- als HDMI-bronnen. The SR-HD2700 is equipped with HDMI input in addition to HD/SD-SDI, enabling direct recording to Blu-ray disc or DVD from a variety of sources including video cameras and visual equipment, easily and efficiently. What’s more, the ability to record simultaneously*1 to optical disc and HDD will streamline your workflow and enhance reliable recording. *1: Simultaneous recording not possible with DVD-video and BDMV format discs. The ability to record directly to disc in real-time improves efficiency by eliminating the process of recording to HDD and duplicating to disc. In addition, it enables downscaling and burning SD DVDs in real-time even when the input signal is HD. 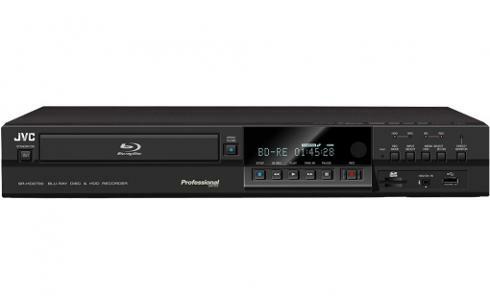 Simultaneous video recording*2 to optical disc and HDD is possible. 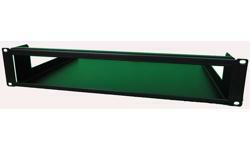 It enables more versatile use for backup or multipurpose. 2: Simultaneous recording not possible with DVD-video and BDMV format discs. 30 second intermission. This capability is helpful in surveillance and monitoring applications as well as for checking on-air video content. *2: Simultaneous recording not possible with DVD-video and BDMV format discs. *3: Depending on the standard of the Blu-ray Disc being used, it may not be possible to record up to full capacity. When the maximum allowable recording time is reached, recording will stop momentarily and then resume as a separate file until the disc’s capacity is reached. It is possible to overlay characters onto the image when recording signals input from SDI or HDMI, providing a deterrent for unauthorized usage and distribution of your original content. Conveniently edit videos residing on the HDD without using a PC. You can easily create playlists, edit chapters and thumbnails, delete or split scenes, as well as edit the names of discs, titles and groups. The SR-HD2700 is equipped with RS-232C and LAN terminals to enable remote operation with a computer. MOV and MXF files edited on an NLE system can be uploaded via LAN to SR-HD2700 for Blu-ray disc creation. Ondersteuning voor DVD-R (SL / DL) / - RW * Behalve DVD-R (DL) in geval van directe opname in DVD-Video-indeling. JA - Wordt niet toegepast op naadloos afspelen. JA - afspelen is mogelijk door een disk uit de cartridge te halen. JA - Het is onmogelijk om het mov-bestand rechtstreeks op een SDHC-kaart af te spelen. Ja (maximaal 35 Mbps) Het is onmogelijk om mov-bestanden rechtstreeks op een SDHC-kaart af te spelen. Ondersteuning Codec is alleen MPEG2. Let op: de interne HHD gebruikt een speciaal formaat, de gegevens kunnen niet worden overgedragen via USB of een ander overdrachtssysteem, Backup van gegevens op de HDD alleen naar Video Disc's. Formaten Externe videobestanden kunnen niet rechtstreeks naar de harde schijf worden gekopieerd. Als het apparaat FTP ondersteunt, kunt u alleen specifieke videobestandsindelingen kopiëren, zie spec's. De HDD kan niet zichtbaar worden gemaakt op externe pc-systemen.